The San Diego State University Museum of Biodiversity houses thousands of plants and animal skins and skeletons. This resource is available for research and teaching to both students and faculty and is located here at SDSU in rooms within the Life Science buildings. 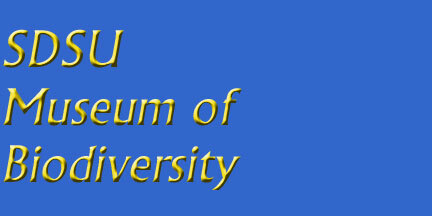 Our museum is known to be one of the richest university collections in the nation and includes both native and exotic species of birds, mammals, fish, reptiles, amphibians, arthropods and herbaria. Some of the specimens housed in the museum are quite rare and a few date back as far as the 1800's. The purpose of the museum is to provide instructional models for teaching all levels of biology with a broad taxonomic representation. It is used by professors and graduate students for research in the areas of systematics, evolution, paleontology and anthropology. Many graduate students rely on the extensive data provided by the museum to research and produce their thesis projects, as it is extremely helpful for the identification of live plants and animals. We are always looking for support to help fund this valuable resource and would appreciate your contributions. If you would like more information please contact Mike Van Patten or call (619) 594-4769. 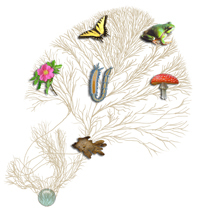 Three faculty members from Evolutionary Biology are involved in the National Science Foundation’s “Assembling the Tree of Life” projects. AToL is a large research effort to reconstruct the evolutionary origins of all living organisms, many of which are part of our collection. Dr. Tod Reeder initiated and is Principal Investigator of a multi-institute AToL project on reptiles: “Resolving Squamate Phylogeny Using Genomic and Morphological Approaches” funded for $2.4M with $650k coming to SDSU. 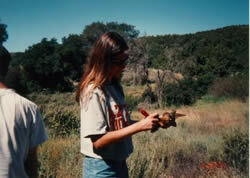 Dr. Kevin Burns is co-PI on an AToL grant to study the Emberizinae group of birds, and Dr. Marshal Hedin is senior personnel on an AToL grant to study the phylogeny of spiders providing $134k to support his research. Working on an Orca skull. 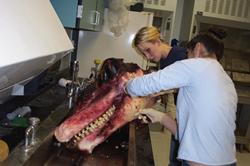 Prepared baby fin whale skull.